It has been a long time since my last post. Life was not that good here in Hong Kong, but I was still working on my engine in spare time. 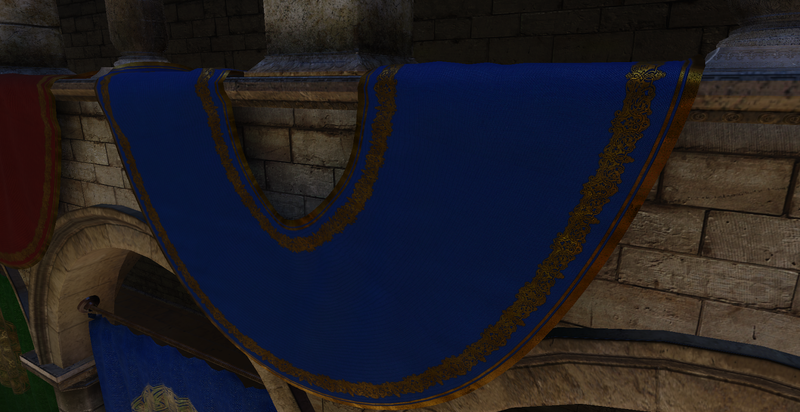 This post will show some of the stuff I have been working on in the past few months. On graphics side, the engine is now switched to use physically based shaders with GGX model for specular and Oren-Nayar model for diffuse shading. 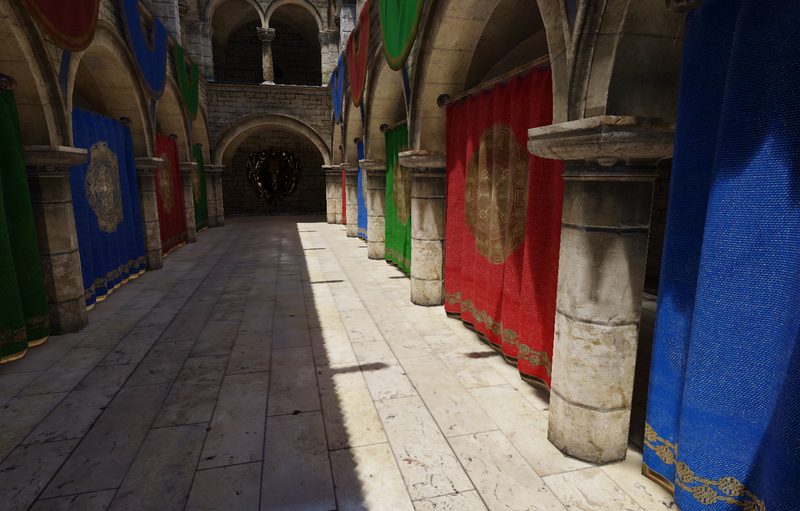 The GGX model is implemented according to this paper from Unreal Engine 4. While the Oren-Nayar model is implemented according to this paper from tri-Ace. Oren-Nayar model is chosen over Lambert model because it takes roughness into account. 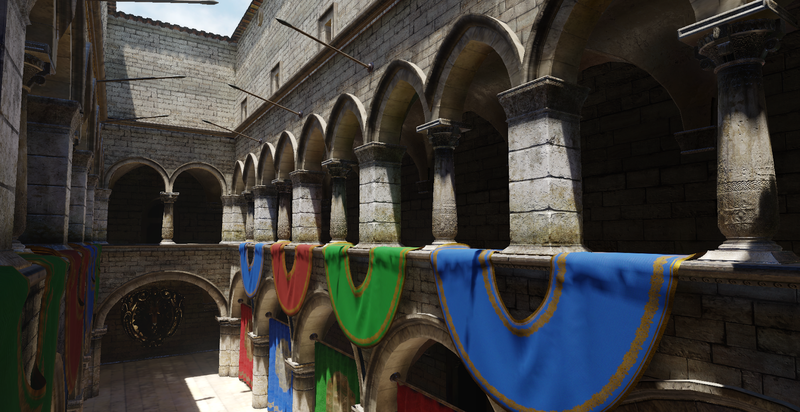 During shading, for those mesh with roughness map but without normal map, using Oren-Nayar model will show a bit more details. 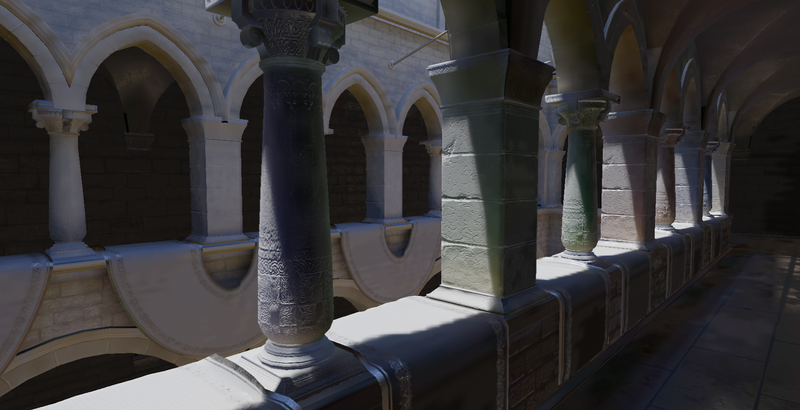 Also, a radiosity baking tool was written to calculate the indirect diffuse lighting for static mesh by rendering cube-maps at every light map texel position. 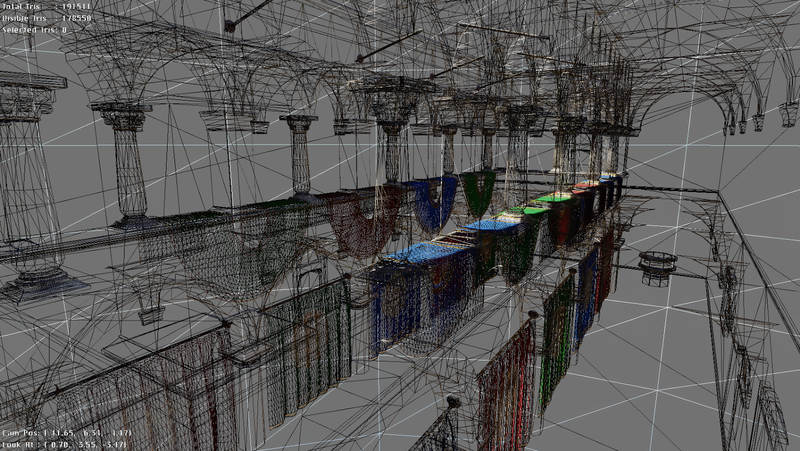 The cube maps are then projected into Spherical Harmonics(SH) during the radiosity iteration. 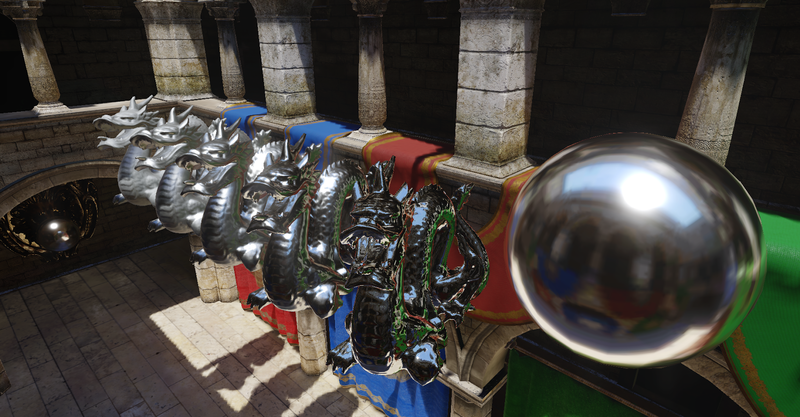 And the results are stored in SH luma + average chroma along the vertex normal hemi-sphere (but the chroma format doesn't play well with the texture compression, so may need to find another storage representation in the future...). 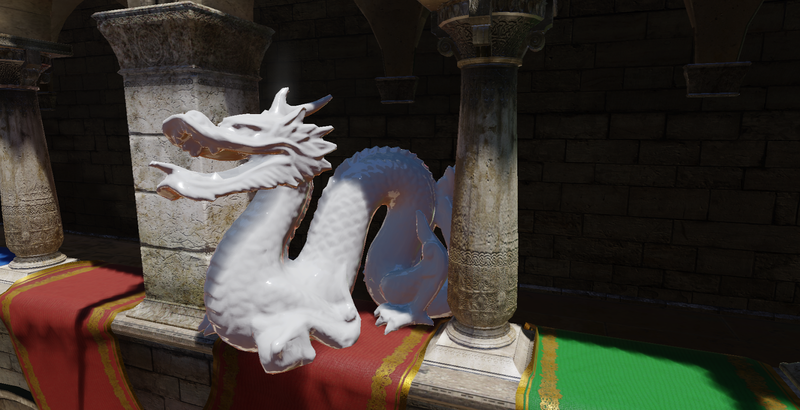 The indirect specular lighting is baked by capturing reflection probe and pre-filtered with GGX model according to the Unreal Engine 4 paper. Currently only the closest reflection probe is used without parallax correction. 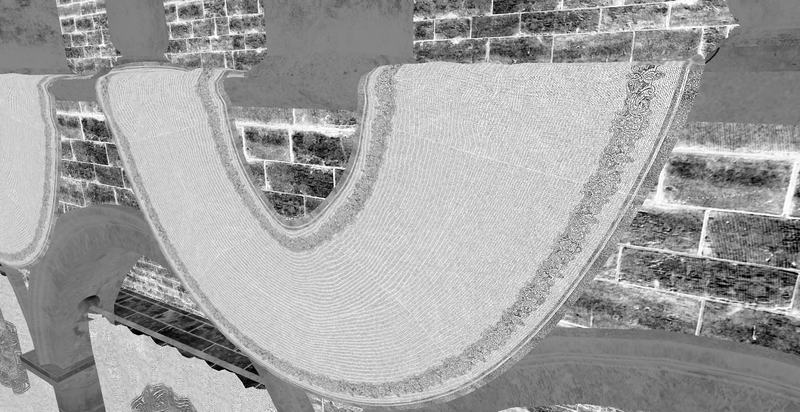 The indirect diffuse lighting for dynamic mesh is baked into the Irradiance Volumes, storing in SH coefficients. 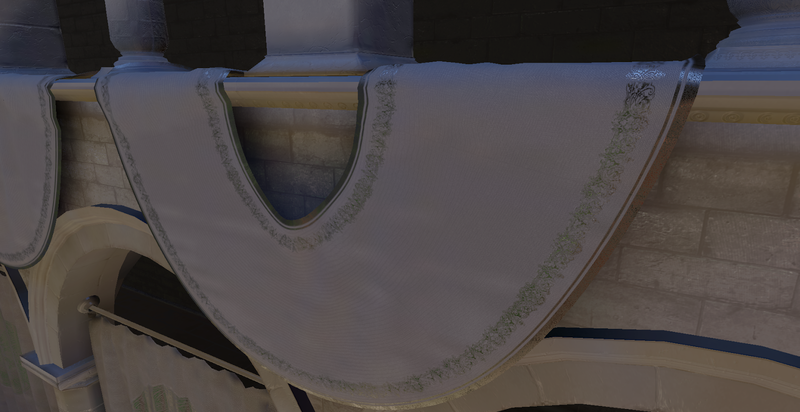 The SH coefficients are modified according to roughness described in the tri-Ace paper (This is also done for the SH luma store in the light map for static mesh). 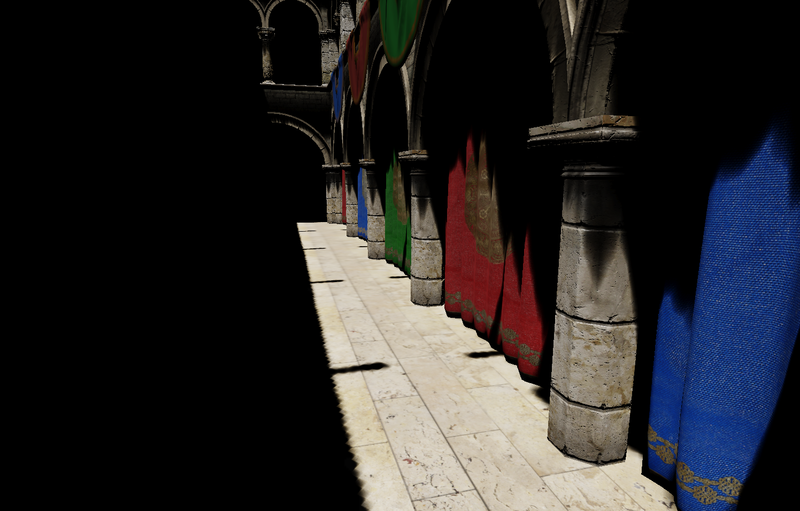 The shadow system is updated to use with a mix of baked and real-time shadow. 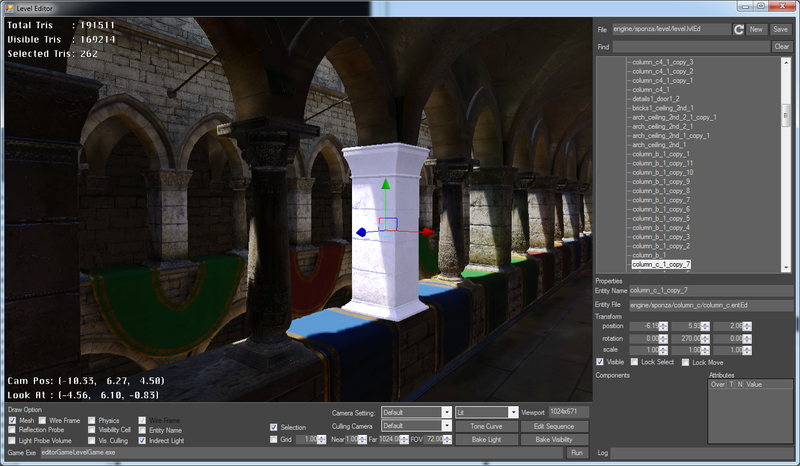 The light map baker described above calculate a shadow term for the main directional light at each light map texel and stored using signed distance field representation (Also, an additional binary shadow term is calculated for each Irradiance Volume sample position for dynamic objects). 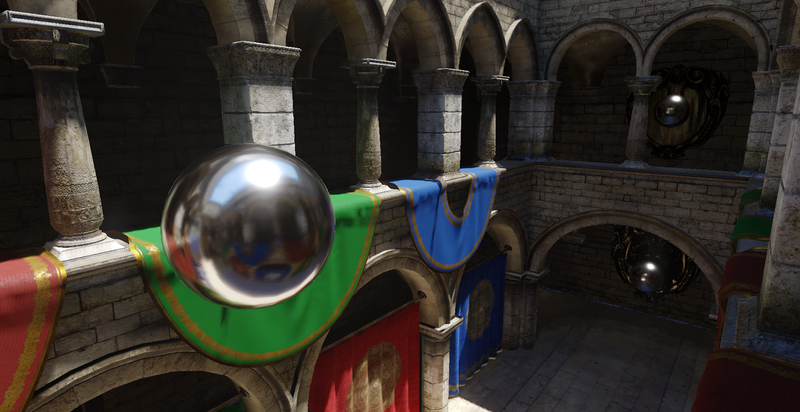 For the dynamic soft shadow, Exponential Shadow Map(ESM) is used. But the contact shadow looks too soft, so the shadow term calculated by ESM is raised to the power 4 (i.e. s'= s^4, where s is the shadow attenuation result from ESM) to make it darker. 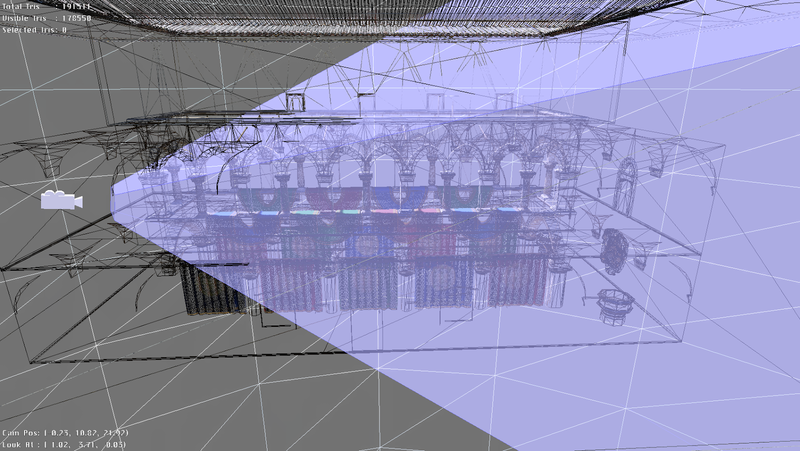 A potential visibility set (PVS) baker is written to calculate which meshes are visible to the visibility cells for culling the scene during runtime. 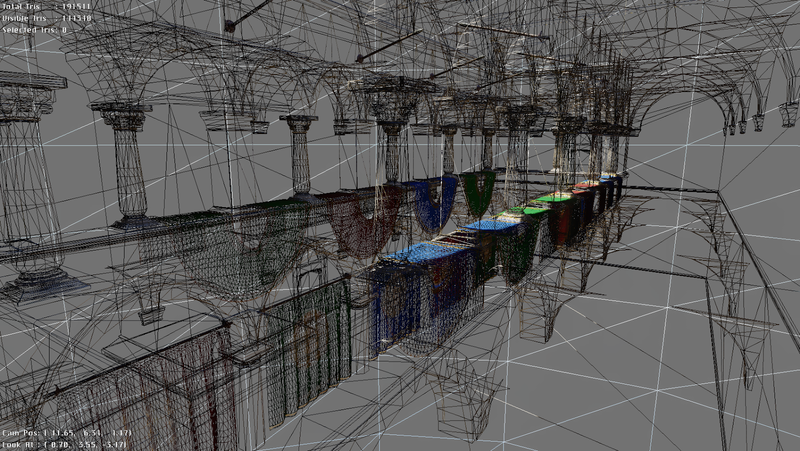 A brute force approach is used for baking by taking some sample positions on a given mesh (e.g. 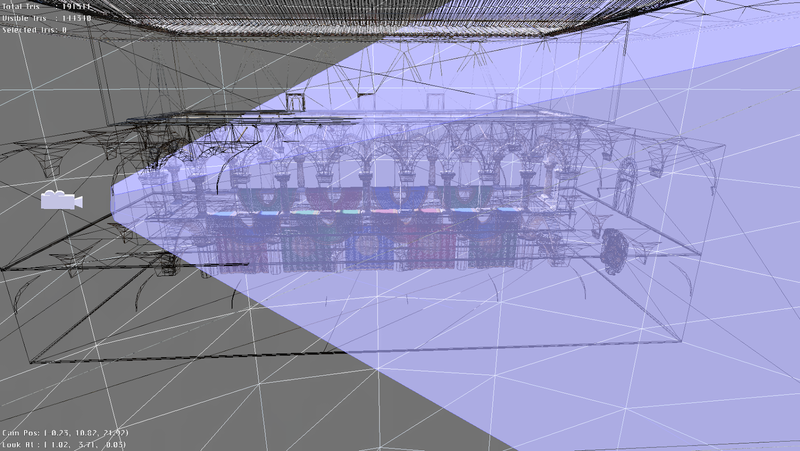 vertex position + light map texel position) and then rendering the scene to check whether the visibility cells are visible. 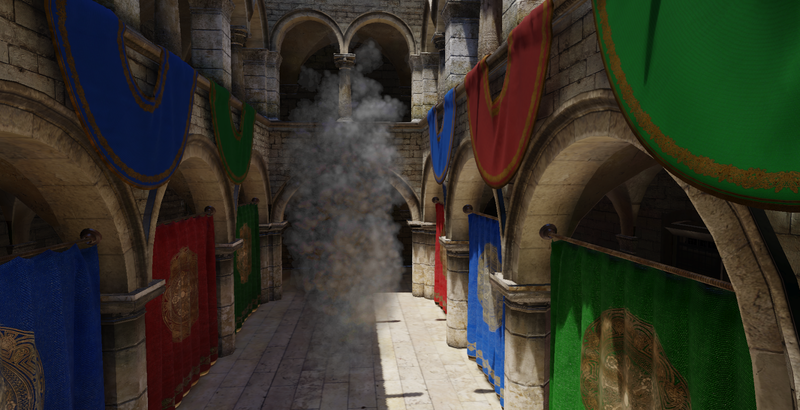 A basic particle system is implemented which can receive static lighting and receive static shadow. 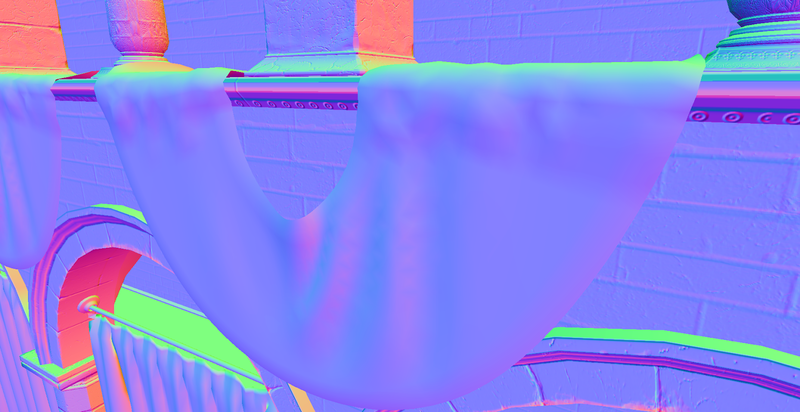 The particle are shaded on CPU using the Irradiance Volumes described above and can be calculated either per vertex, per particle or per emitter. The particles can also receive self shadow using the Fourier Opacity Mapping. 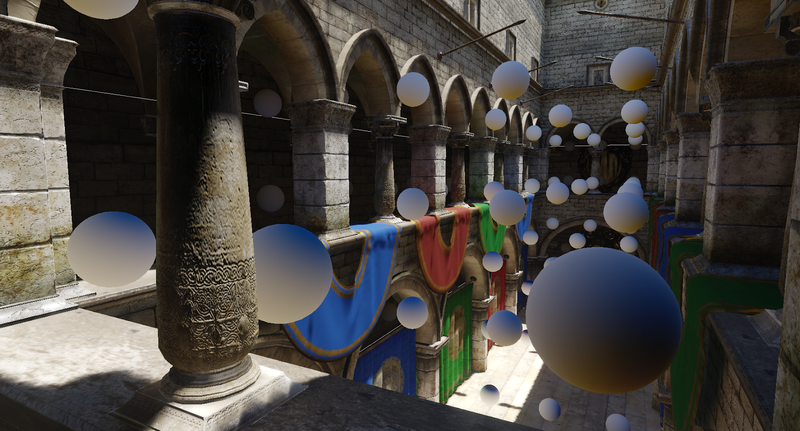 An opacity map is computed on CPU side for the main directional light which assume each particle is of sphere shape. 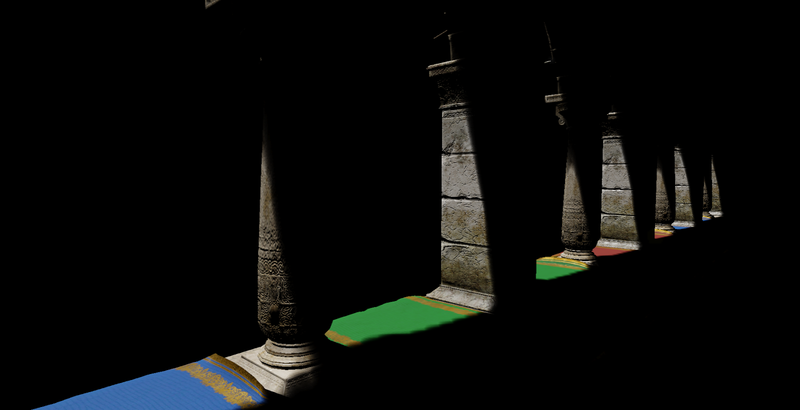 Then a shadow term can be computed for shading. 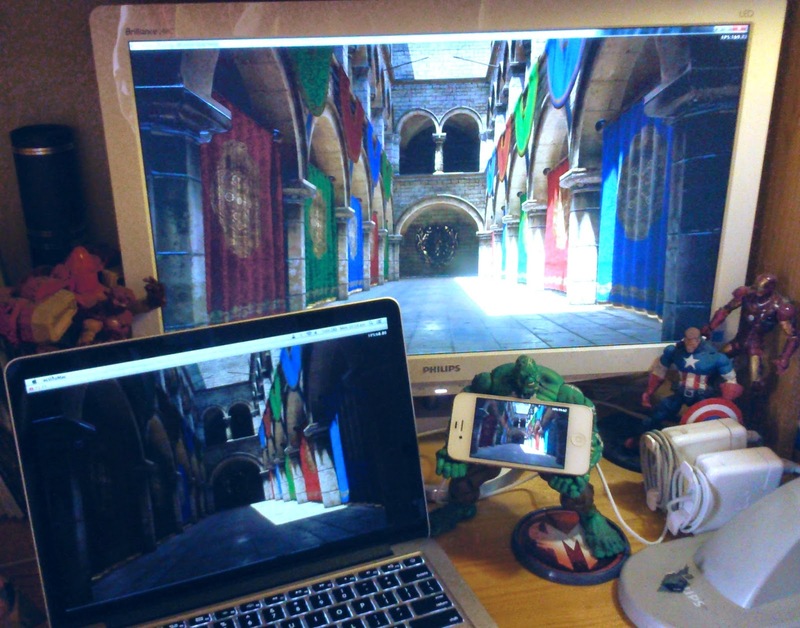 The engine runtime supports 3 different platforms: Windows, Mac, iOS(Editors are Windows only). 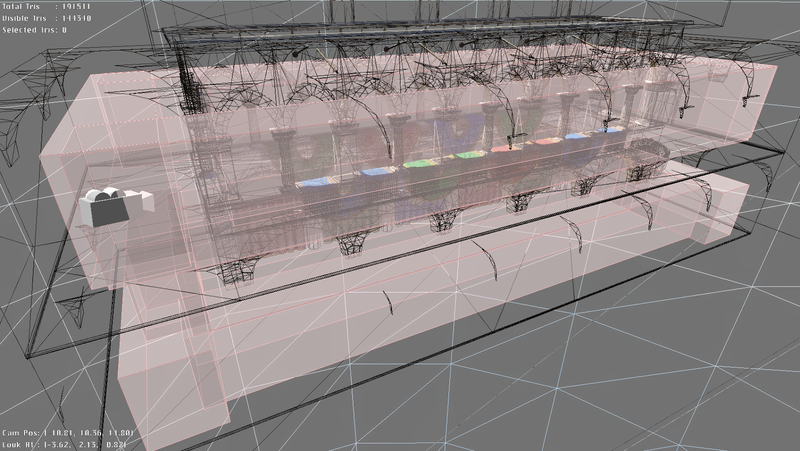 On Windows, the engine mainly runs with D3D11. 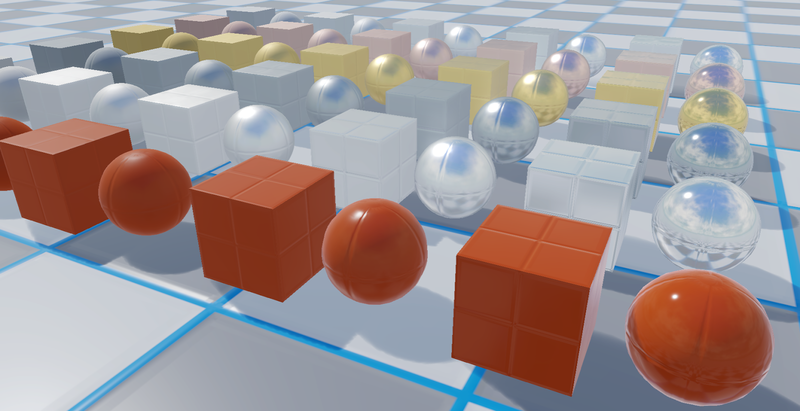 An extra OpenGL wrapper was written for Windows to ease the porting to iOS and Mac because it is easier to debug OpenGL with tools like Nsight. 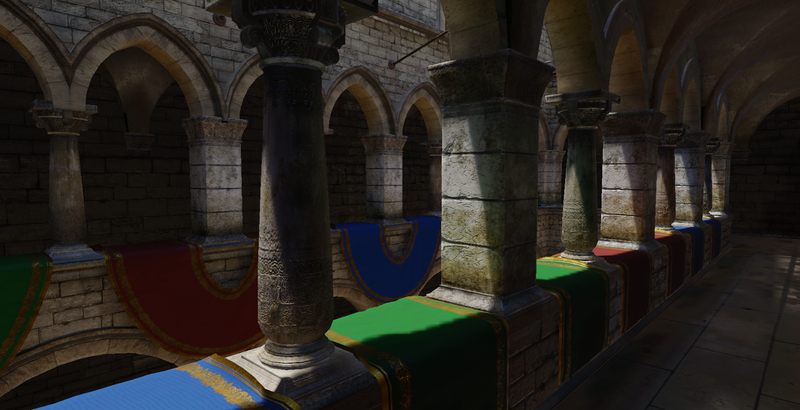 To write cross platform shaders, shaders are written in my own shading language which is similar to HLSL. 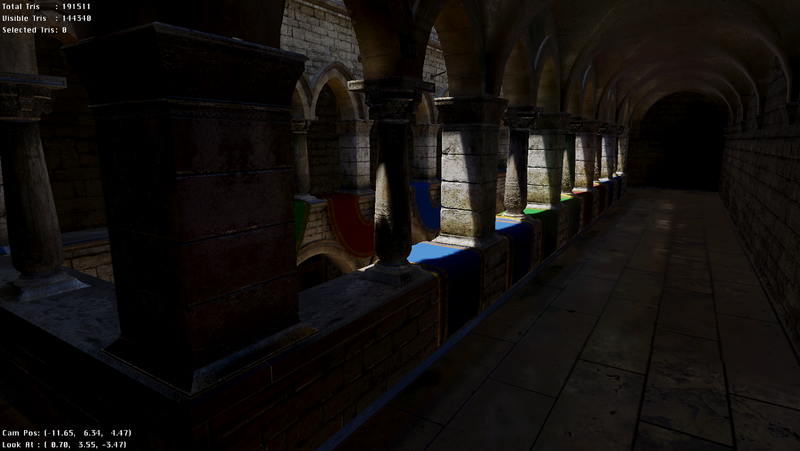 Those shaders are then parsed by a shader parser generated by Flex and Bison to obtain a syntax tree to output the actual HLSL and GLSL source code. 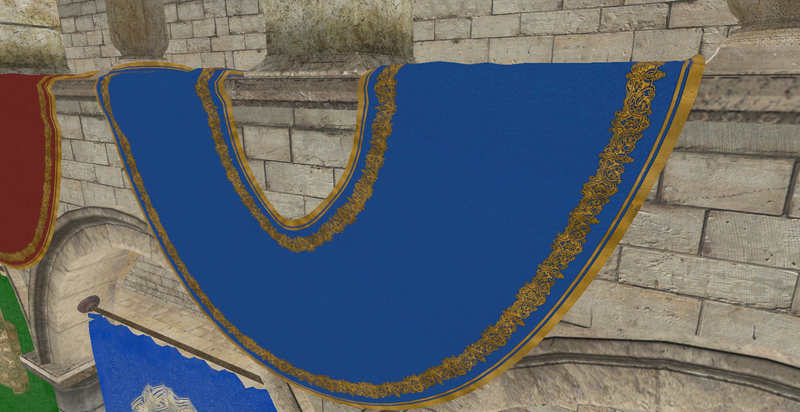 Hope you enjoy the above screen shots and wish I can find some time to describe them in details in future posts.